The current price list, the best price-quality ratio. 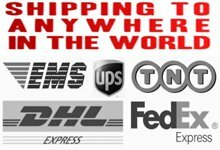 Delivery to any country in the world. The price-list of the manufacturer of aviation obstruction lights. Global Export Countries. Prices are stated on terms: EXW (Incoterms-2010). 24 Super bright LED CREE 5W with a collimating lens. 24 Super bright LED CREE 3W with a collimating lens. 24 Super bright LED CREE 3W with a collimating lens. Light source: Super bright LED CREE 3W with a collimating lens.